Is a 3D printing bubble fuelling the jobs market? Newly-released figures show that the 3D printing boom is having a positive effect on the jobs market. There has been double digit growth in the number of jobs advertised in Q2 of 2013 in; 3D Rendering (up 17.3% from 1,570 jobs), 3D Modelling (12.5% from 1,774 jobs) and 3D Animation (11.7% from 1,758 jobs). 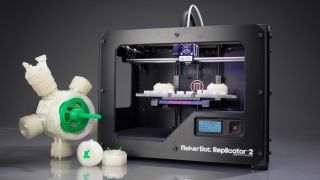 Freelancer.co.uk believes that the 3D printing industry is set to become a $3 billion industry by 2016 and these figures are likely to rise. Other figures show that, in the last quarter, Android app jobs slowly crept ahead of iOS app jobs by 4.6%, with the number of iPad app jobs dropping 2.5%. This could be because Android phones have a greater market share of new sales (more than 70% according to a report last year by IDC) when compared with iPhone new sales. And, with cheaper devices running Android, they're more accessible in developing countries.